Spc. Erica Demetria Atkinson, a 35-year-old from Killeen, joined the U.S. Army in January 2017. Her death is being investigated. 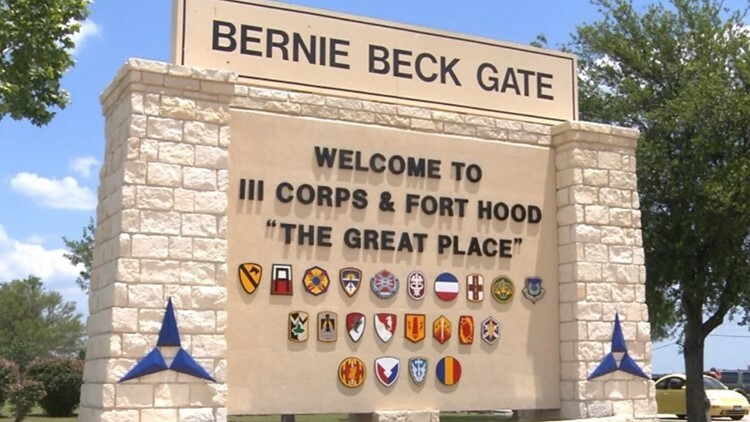 FORT HOOD, Texas — Fort Hood officials released the name of a soldier who was found unresponsive on post on March 29. Spc. Erica Demetria Atkinson, a 35-year-old from Killeen, was taken to Carl R. Darnall Army Medical Center where she was pronounced dead. Atkinson joined the U.S. Army in January 2017 as a chaplain assistant. She was assigned to 2nd Armored Brigade Combat Team, 1st Cavalry Division in April 2018. "This is a tremendous loss for the Black Jack Brigade and for the Army," Col. Jeremy Wilson, commander, 2nd Armored Brigade Combat Team, 1st Cavalry Division, said. "Spc. Atkinson's selfless service, commitment to the team, and kind spirit will be missed but not forgotten." Atkinson was awarded the Naitonal Defense Service Medal, Global War on Terrorism Service Medal and Army Service Ribbon during her service. The U.S. Criminal Investigation Command is investigating the death. "I can tell you that at this point in the investigation we don't have any indications of foul play, but have not completely ruled it out while we conduct a thorough investigation," CID spokesman Chris Grey said.